To create and manage a new reserve to secure permanent protection of at-risk Neotropical migrant bird species and other threatened and endemic species and their montane forest habitat. The Serranía de Perijá is a 200-mile-long mountain range rising to over 3,700 meters that straddles the northern border between Colombia and Venezuela. Despite being one of the least biologically explored regions of the northern Andes, Perijá is known to harbour several endangered bird and plant species; many more species await formal description. It is also known to be a vital pathway into South America for Neotropical migrants arriving in South America and an important wintering area for Cerulean Warbler, Canada Warbler, and Olive-sided Flycatcher. The highest areas and western slope of the 200-mile-long Serranía de Perijá mountain range contain some of the highest quality land for conservation, but remain largely unprotected. The area is now being rapidly settled and deforested. Conservation organizations perceive an urgent opportunity to purchase land while prices are still low. Fundación ProAves identified one of the most critical high elevation areas, at risk of forest clearance but still holding montane forest and reasonably intact páramo with all the endemic species. Eleven adjoining properties totaling 1152 ha were purchased with funds from Rainforest Trust, ICFC, Global Wildlife Conservation and others, and form the core of a new reserve: Reserva Natural de las Aves Chamicero del Perijá. "Without this reserve, the chances are high that within a few years nothing would be left of the spectacular forests that once covered Colombia's Serranía de Perijá,"
— Dr. Paul Salaman, CEO, Rainforest Trust. Our field partner for this project is Fundación ProAves, a Colombian non-governmental organization that focuses on the study of birds and the conservation of threatened bird species and their habitat in Colombia. ProAves will own and manage the reserve. Several groups collaborated on the purchase of the property, with Rainforest Trust the lead organization and biggest funder. The Serranía de Perijá is a 200-mile-long mountain range rising to over 3,700 meters that straddles the northern border between Colombia and Venezuela. 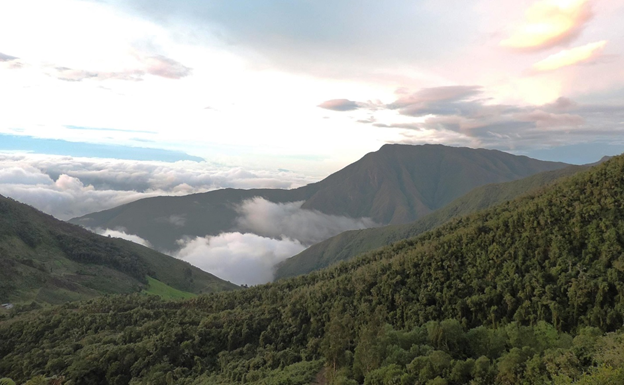 Despite being one of the least biologically explored regions of the northern Andes, Perijá is known to hold several endangered bird and plant species; many more species await formal description. It is also known to be a vital pathway into South America for Neotropical migrants arriving in South America and an important wintering area for Cerulean Warbler, Canada Warbler, and Olive-sided Flycatcher. While much of the drier eastern slopes of the massif are protected as a National Park in Venezuela, the highest areas and western slope of the massif are entirely unprotected and less than 2% of native forests survive. Now that Colombia's long guerrilla war has ended, the area is now safe and is being rapidly settled and deforested. There was an urgent opportunity to purchase land (which prices are still low) for a nature reserve. 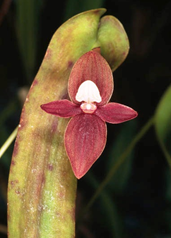 As a result of difficult access and a five-decade-long guerrilla war, the Serranía de Perijá has received little biological study. 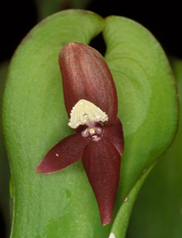 Expeditions undertaken in 1922 and 1942, revealed that the area contained several distinct elements in its avifauna and limited botanical work revealed several new orchid species. Between 2005 and 2007, Fundación ProAves studied the lower elevation areas and proposed Serranía de Perijá as a bi-national National Park. By then, stability had started to return to the area and this ushered in a wave of colonization and rapid deforestation of the mid and upper elevation slopes. 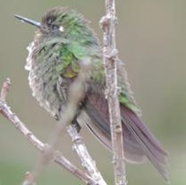 By 2013, the security situation in the region had been resolved and Colombian and foreign birders started to visit the highest elevations of Perijá. Unfortunately, by this stage little forest remained, while the unique páramo of Serranía de Perijá was being intensively burnt and grazed and non-native trees like Mexican pine and eucalyptus were being planted. Colonists also cleared montane forest and planted a non-native thornless blackberry for jam. 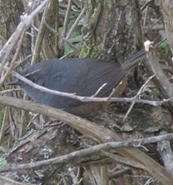 Recent studies have relocated two endangered and endemic species, the Perijá Thistletail and Perijá Metaltail, and documented the Perijá Brush-finch, while finding several new bird species for science, including a new Atlapetes Brush-finch, a new Scytalopus Tapaculo, a new Megascops Screech-owl, and a Cranioleuca Spinetail. 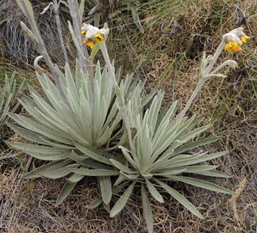 Several other taxa endemic to the Perijá mountains are almost certainly separate biological and phylogenetic species (i.e. 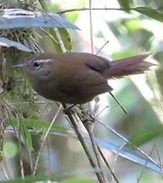 the Rufous Antpitta [Grallaria rufula saltuensis], the Oleagineous Hemispingus [Hemispingus frontalis flavidorsalis], to name a few). Serranía de Perijá is also considered to be a vital pathway into South America for Neotropical migrants arriving in northern South America, as well as a wintering area for Cerulean and Canada Warbler, and Olive-sided Flycatcher. Fundación ProAves identified the most strategic properties in critical high-elevation areas in the Serranía de Perijá, where forest habitat and páramo ecosystems remain relatively intact. This area, which ranges from 2,300 to 3,000 meters in elevation, is comprised of eleven properties totaling 1152 ha. Wildlife surveys by ProAves have confirmed that it is home to many of the endemic species known to exist in the Serranía de Perijá. The roadside location of these properties, however, made them easily accessible to colonists and posed a high risk of deforestation. Purchasing these properties not only protects one of the healthiest remaining forests in Colombia's Serranía de Perijá, but also strategically blocks access to larger tracts of forest beyond the road. In addition, saving this forest will protect two watersheds vital for the city of Valledupar and several towns in the otherwise arid Cesar Department. All contracts for the purchase of the property stipulate that it will be used exclusively for conservation purposes. The reserve lands will be registered as part of the national System of Protected Areas (Sistema de áreas Protegidas (SINAP)). ProAves' constituting documents stipulate that any property under its ownership must be dedicated as a nature reserve, and must be protected for conservation in perpetuity. ProAves is prohibited from selling the reserve properties or dispossessing itself of any property interests. In the case of dissolution of ProAves, the property can only be transferred to another non-profit organization with similar conservation goals. A contract between ICFC and ProAves stipulates that funding of the project is conditional on the legal safeguards above being put in place, and the property being managed for conservation purposes, as elaborated below. A photographic and video record of the habitat and ecosystem tracks ecological quality and the status of species present on the site over time. A management plan will set out strategies to mitigate threats and designate priority areas for ecosystem restoration activities. Conservation infrastructure, including trails for research purposes and to enable conservation activities, themed signs, and a ranger cabin have been installed. Conservation staff maintain communication and positive relationships with communities near the reserve, and collaborate on boundary demarcation, plans for ecotourism, management of water resources protected by the reserve, and potential for future acquisition of additional plots to expand the reserve. Oversight will be provided by ProAves' director of conservation, a reserve coordinator, and a ranger who will provide a physical presence at the reserve.